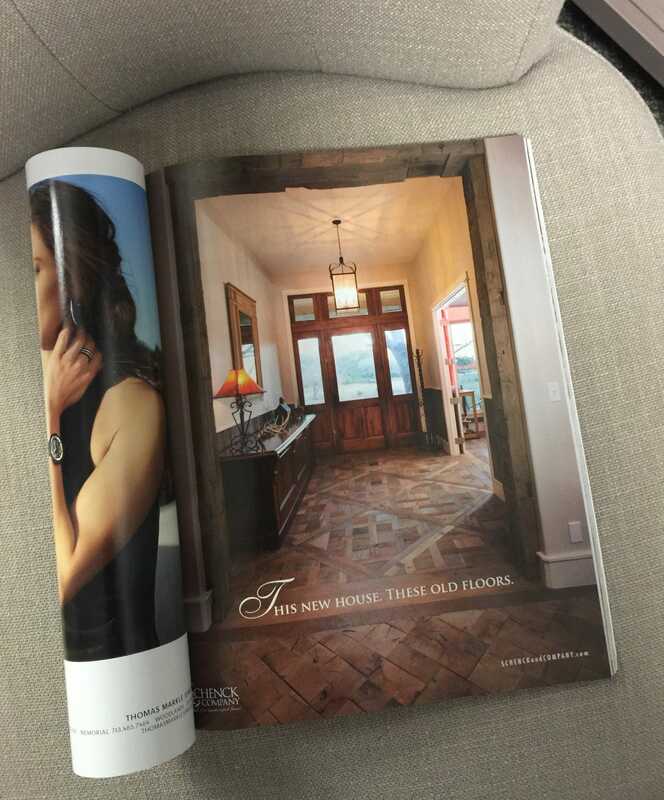 People ask me all the time to recommend a finish for their wood floors. I personally love hand-rubbed wax and European oil finishes. But what I like personally may not be the best choice for your home or your family’s lifestyle. It’s important to consider how you live and to what sort of long-term maintenance you are willing to commit. All floors require routine maintenance such as sweeping and dust-mopping. But long-term, different finishes have different maintenance requirements. Wax and oil finishes can be touched up and brought back to their original luster with relative ease. To keep a floor looking its best, I often recommend that my clients schedule annual maintenance for their hand-rubbed floors. With regular care, a wax or oil finish will provide many years of warm, subtle beauty. Yet these natural finishes don’t hold up well to water, so they may not be the best choice for a family kitchen or busy powder room. 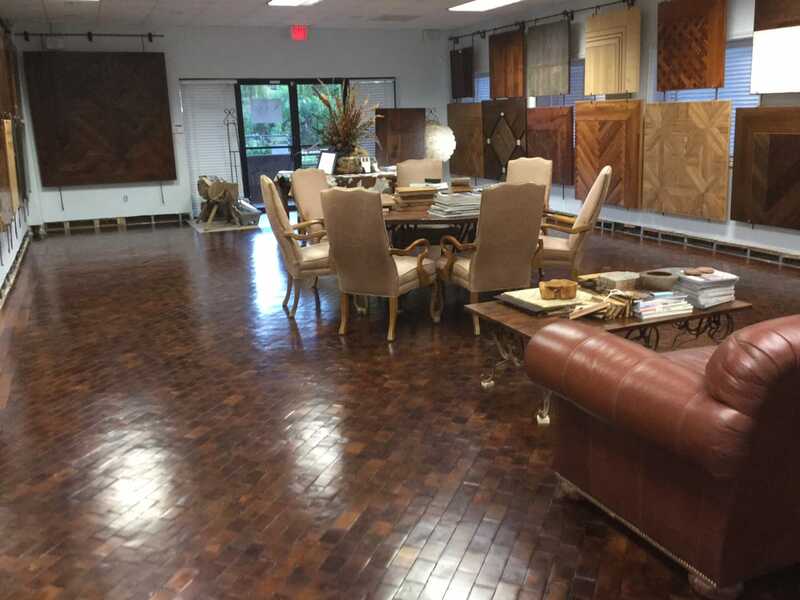 In areas where there is likely to be a lot of moisture, I usually recommend a polyurethane finish, which remains on the surface of the wood, thereby providing protection. There are a variety of polyurethanes and synthetic resins on the market today. The choice for a specific finish depends on the wood species, stain color, and other design elements. The main drawback to all surface finishes is that, over time, they will scratch and slightly discolor. 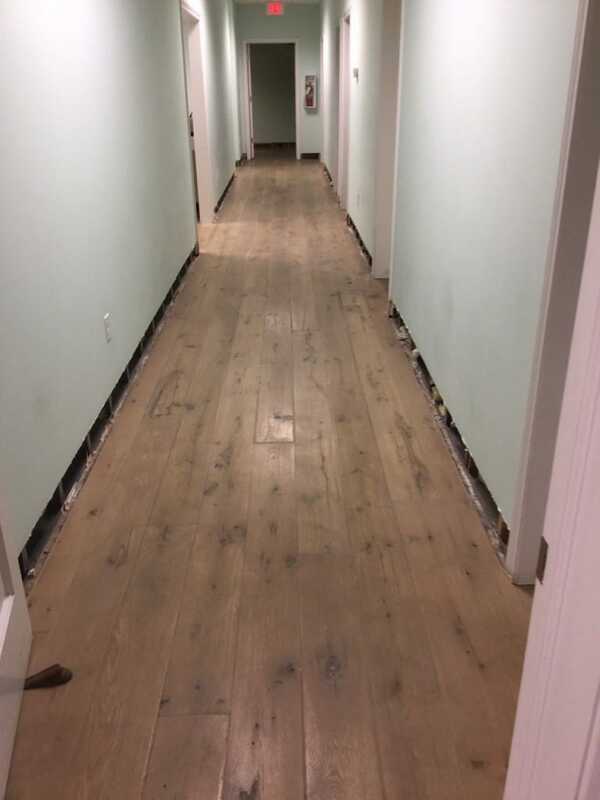 Choosing a finish for your wood floor isn’t difficult, it just requires that you consider the amount and type of traffic in your home and your long-term maintenance objective. It may be, in fact, that different rooms are finished differently. Often I recommend wax in the majority of the house but polyurethane in the baths and kitchens. A fine wood floor finished appropriately, should work for you and your family, bringing you pleasure, not anxiety over little scratches and spilled milk. http://www.schenckandcompany.com/schwpngn/wp-content/uploads/2014/09/logo.png 0 0 Schenck & Company http://www.schenckandcompany.com/schwpngn/wp-content/uploads/2014/09/logo.png Schenck & Company2011-04-30 00:34:442018-06-13 21:34:04What’s your favorite finish? Hurricane Ike left his mark, alright, and not the kind many of us want to remember. Even the Schenck Company showroom experienced minor flooding, despite my efforts to clear debris from the storm drain on North Main Street in front of our building. Thanks for the many phone calls from our friends who saw this photo in the Houston Chronicle or on one of many Ike-related websites. 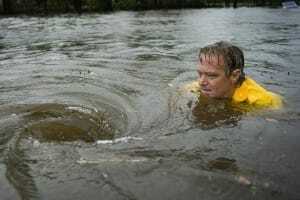 It was taken by AP/Houston Chronicle photographer, Smiley N. Pool. 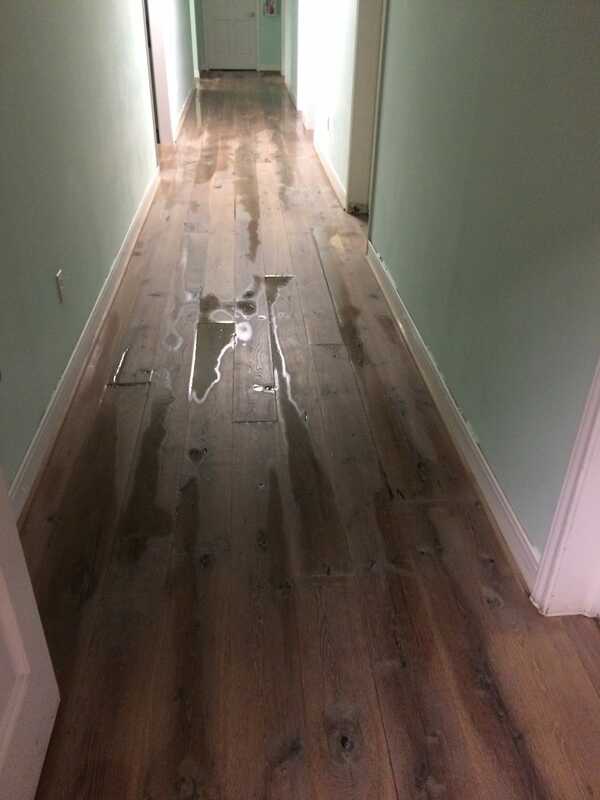 In the wake of Ike, we’re receiving many inquiries about repairing floors damaged by water. The truth is, many of the floors we are looking at that are slightly cupped will flatten on their own, given sufficient time. Right now your floors may look swollen and uneven. That’s due to a phenomenon called “cupping” which is explained in detail in the Damaged Floors section of our website. Under normal conditions, your wood floors should dry completely within three to twelve months, depending on how wet they are. 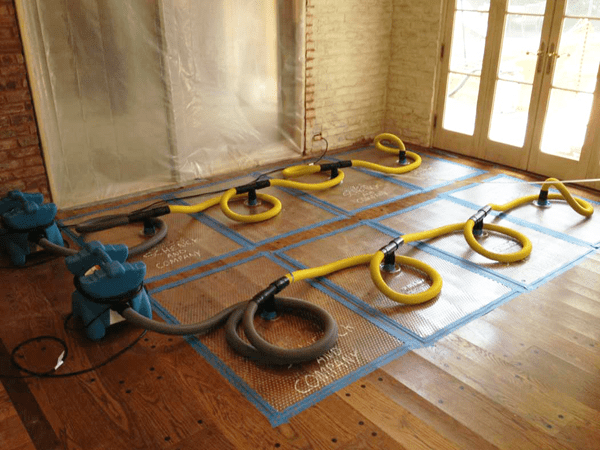 The drying process can be accelerated by the use of fans and dehumidifiers. 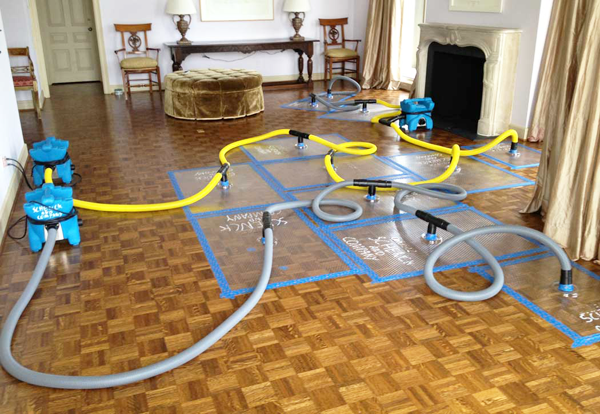 As the floor dries, the cupping subsides and it is possible that your floors may require nothing more than a good cleaning. True, waiting for your wood floor to dry requires patience. 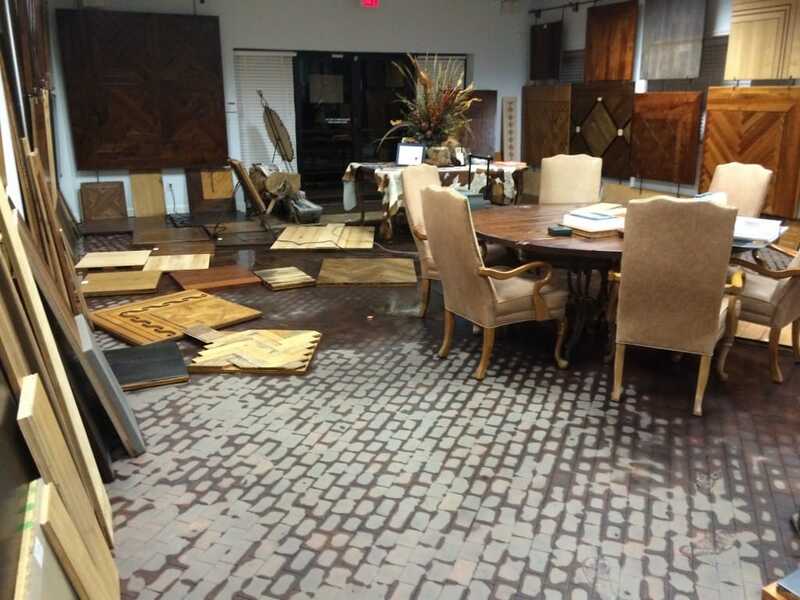 Yet that patience will hopefully pay off in the long run when your floors can be restored to their original condition with minimal inconvenience. http://www.schenckandcompany.com/schwpngn/wp-content/uploads/2014/09/logo.png 0 0 Schenck & Company http://www.schenckandcompany.com/schwpngn/wp-content/uploads/2014/09/logo.png Schenck & Company2008-10-30 00:37:322018-06-13 21:34:25How Did Your Floors Weather The Storm?